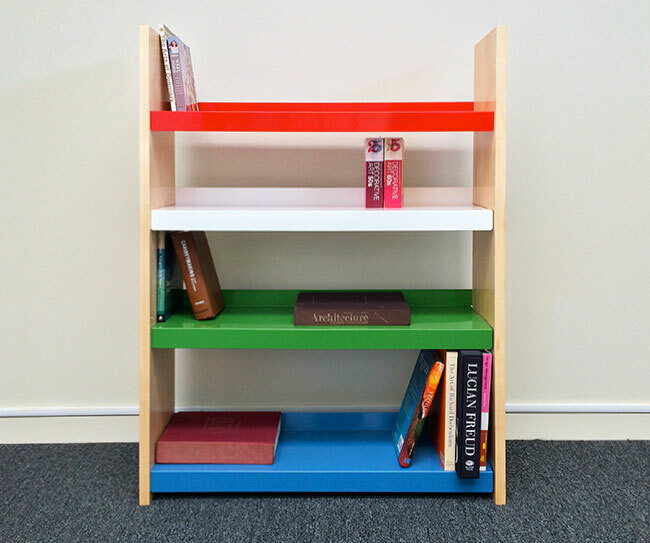 Pacific Holding is a versatile bookshelf perfect for a suburban living room, a home office, or a hip downtown loft. 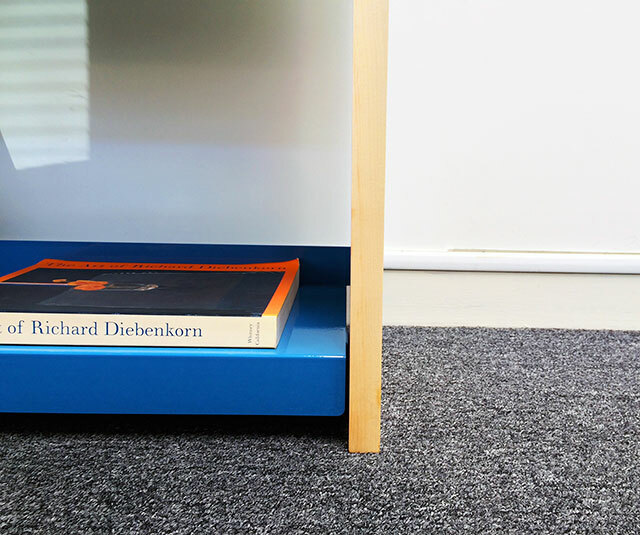 The graduated spacing of the shelves can easily accommodate large art books, three ring binders, or a collection of Moleskine notebooks full of ideas. 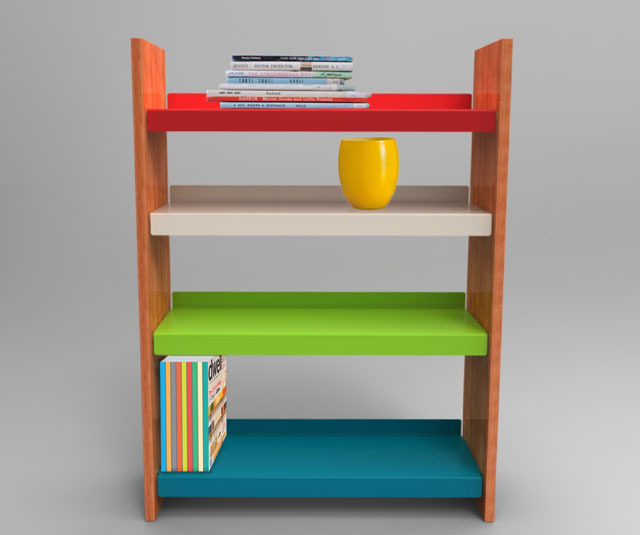 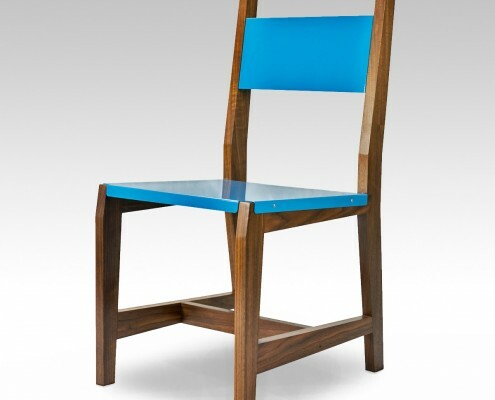 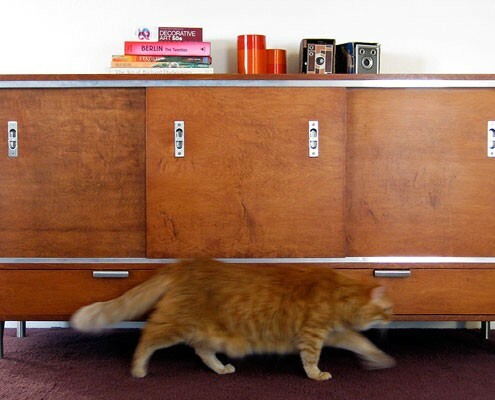 Subtle and functional, its design lies in the colors of the shelves, reminiscent of California landscape and culture. 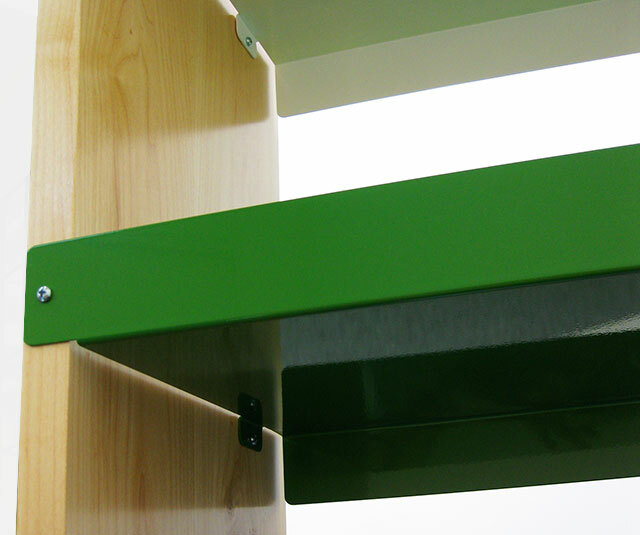 The powder coated recycled steel shelves are supported by solid wood side panels and assembled with hex socket cap screws. 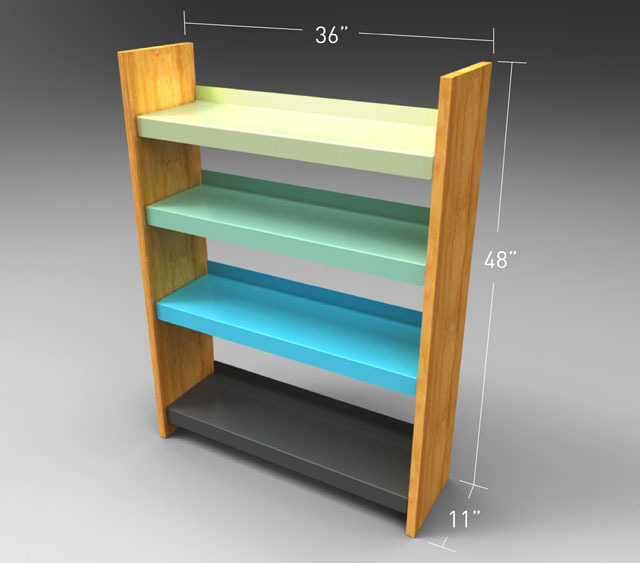 These shelves are currently in the prototyping phase.